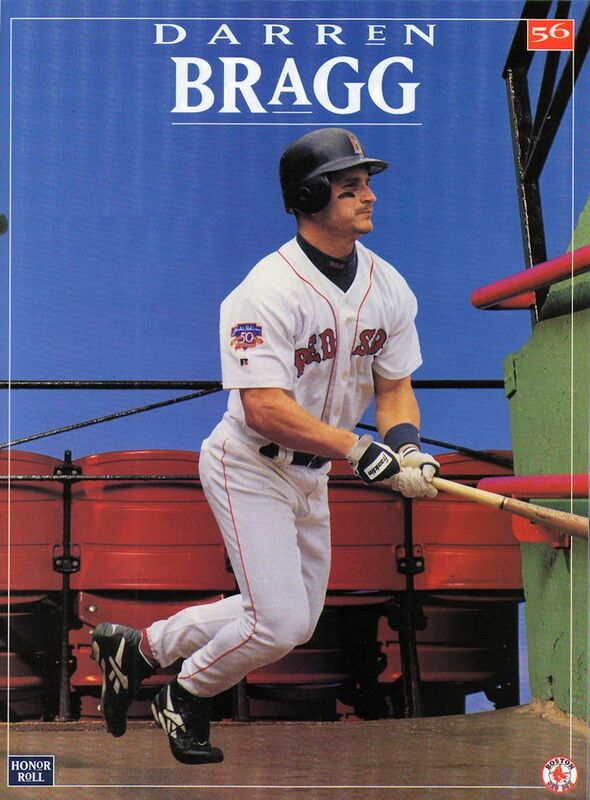 ON THIS DATE (April 17, 1998) ... With two runs in the bottom of the ninth and the game winner on Darren Bragg's bases-loaded single in the 10th, the Red Sox won their seventh in a row, all at home, and fifth in their last at-bat, beating the Cleveland Indians, 3-2, before 26,924 fans in Fenway Park. As a result, they climbed into a first-place tie with the Orioles in the American League East. The winning run was scored by pitcher Steve Avery, who ran for Mo Vaughn in the 10th after Vaughn singled and motored to third on a base hit by Troy O'Leary off the glove of second baseman Shawon Dunston. If the ball doesn't hit Dunston's glove, Vaughn doesn't go to third. Indians reliever Paul Assenmacher loaded the bases by intentionally walking Scott Hatteberg, whose single started the ninth-inning rally capped by Reggie Jefferson's tying sacrifice fly. The next hitter was Bragg, who had bounced to the pitcher on his first at-bat and struck out his next three times up against Cleveland starter Charles Nagy, who matched Pedro Martinez pitch for pitch, shutting out the Red Sox on seven hits through eight innings. Bragg then shot a ground ball through the right side.